Obsessing Over the Supra Search! AHHHHHH! The search for a MKIV Supra can be completely consuming. I am looking for another low-mile Supra to put next to THIS ONE and it is completely consuming me. Im checking the forums, eBay, classifieds sites – everywhere – about every 2 hours. Have you been in this boat? Have you totally obsessed over the search? Why is it, when we’re ready to pull the trigger, that all the Supras that fit our criteria vanish? Now that I’m seriously looking, I can’t find a single car that fits what I want. Have you been totally consumed by the search to where it dominates your thoughts for the entire day? Favorite Supra Picture? Show MKIV.com Yours! We all have a favorite Supra image stored on our computer/laptop/tablet. For some of us, this image is our background. a select 4 or 5 that are their all time favorites. I want to see what your favorite all time MKIV Supra photo is. It’s easiest to reply via Facebook — so visit the MKIV.com Facebook page (linked on the right sidebar). If you haven’t joined – please do and then show us your favorite image ever. You can also link a photo in the comments section. I’m eager to see what photo(s) are your obsessions! Wingless MKIV Supra = Ferrari 599? On more than one occasion, I’ve heard a person reference how similar a wingless Supra and a Ferrari 599 look. Now, there isn’t a person alive that would confuse a 20 year old Toyota Supra with Ferrari’s 599 which approaches $500,000 in GTO form. But, after some side by side photo comparisons, I actually DO see it. The side profiles are very similar. The view from the side/rear looks similar as well. I posted a few photos below to show the comparison. I am in NO WAY implying that Ferrari stole/borrowed/copied the Supras design. However, I don’t think anyone would be shocked if I said this car pictured below is the new 2015 MKV Supra. 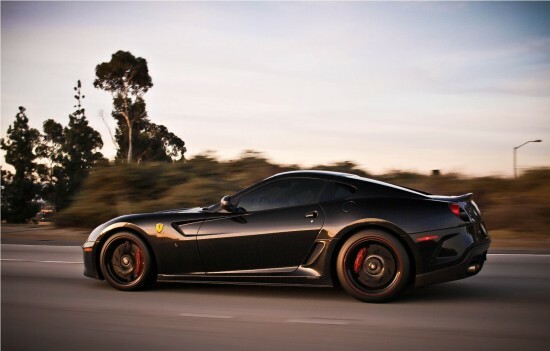 The Ferrari 599 actually does look like a more modern Supra, to me at least. They DO look similar, to me. Granted, the 599 has a few hundred thousand dollars and 20 years of refinement on the Supra.